1. Project Censored (Sept. 28) — The truthseekers at Sonoma State University dish on soldier deaths, prison companies, nuclear power and more. 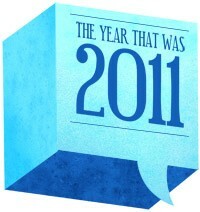 These three blogs from 2010 actually garnered more hits than many of our 2011 posts. Ah, Hillyard (July 21, 2010) — In which I have a freaky bike accident in Hillyard, bad-mouth the neighborhood in frustration and never hear the end of it.